Electrics OnTap are a domestic electrical contracting company based in Mile-Oak. The electrical team you can always depend on is Electrics OnTap’s qualified and efficient electricians. We can handle any size of domestic electrical project. Your project requirements are what will determine the nature of our services. Electrics OnTap is registered with every relevant regulatory agency and have our work assessed often. So, our excellence is something you can count on. Due to the health risks of residential emergencies, we ensure you can contact us easily. Why Choose Electrics OnTap Electrical Contractors in Mile-Oak? We understand the finer details. Our industry-leading expertise and strong focus on safety, regulations and accreditation mean we are the best. We have an ever-growing client through decades of experience in domestic electrical services. Electrics OnTap is known for quality and service in everything they do. We deliver customer satisfaction by offering quality and professionalism through the provision of excellent customer service. We are known to never exceed an assigned budget or deadline. To not incur any extra costs, our team always works fast. Electrics OnTap is comprised of qualified and experienced electricians. Our expertise covers both small and large domestic electrical installations, design, repairs, maintenance, testing, and much more. We have made a name for ourselves in complex electrical designs. We ensure all our electricians are properly screened before they go out on a job. We carry out this screening to be better informed of the perfect team to send to you. Electrics OnTap in Mile-Oak are ready to attend to your in-house electrical emergencies with no call-out charges. Do you have some domestic electrical installations you need a professional to handle? We have you covered. Our Domestic Electrical Services Price Table Several factors will determine the final price. We will consider the kind of repair or installation to calculate the price. Another are the accessories to be used. Give us a call today on 01273 723600 to get a quote for the electrical service you need. There is a range of major domestic electrical services available at Electrics OnTap in Mile-Oak We will handle the project irrespective of the size or the complexity. For any of your domestic electrical installations, we are the team for you. We ensure all our domestic electrical installations meet every standard and regulation. What we provide at Electrics OnTap are innovative tools for indicator and fire alarm system installation. We have all types of fire alarm systems available. You can count on our expertise in choosing the right alarm system for your home. Our experts are great at CCTV installations. We cover periodic maintenance inspections and so reduce the chance of fire incidents. In Mile-Oak, we offer a full domestic rewiring service. 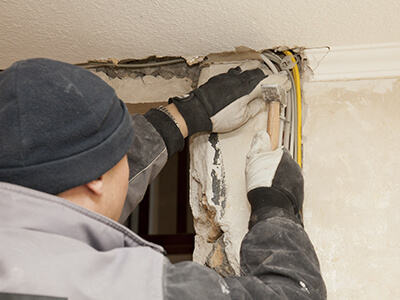 We will undertake the removal and replacement of old wiring. Sometimes, to do this, we need to install new switches and sockets. In order to ascertain the level of work that will go into it, we will quickly conduct an assessment of your old wiring. Electrics OnTap is Mile-Oak leading repairers of fuse boards. We provide cost effective fuse box repairs guaranteed to last a long time. Our qualified electricians will first undertake fault finding to better understand the method of repair to use. Are you looking for more sockets for your kitchen or for the installation of a multimedia system in your room? Electrics OnTap offers a range of domestic electrical installation services around Mile-Oak and beyond. Allow us to give your home a boost with our excellent electrical installations. The best way to give your room a facelift is through lighting. Electrics OnTap are the right people for the job. We never look down on any size of lighting project. Our professional electricians are focused on giving you the best electrical lighting service at an affordable price. We can install garden lights, fountain lights and all interior lights for your home at a time to minimise inconvenience. Electrics OnTap electricians can create any design and work within any budget. We understand that letting people into your home is a sensitive decision. This is why we use only professionals who have been approved by the NICEIC. Give your home a new look and extra security with Electrics OnTap garden and exterior appliances. If you are looking for outdoor and garden appliances such as weatherproof fluorescent fittings, decking lights, solar lights, post lights, and so on, give us a call. In need of solar flame lights, atmosphere lights and their installation? Give us a call today. All around Mile-Oak, we have provided a range of installation services. This also includes cooker and boiler installations. This service will only be conducted by experienced and skilled electricians. To determine the most efficient way to conduct the installation, they first survey the assigned areas. Call us for all kinds of residential heating systems in Mile-Oak. Are you in need of a new boiler or is your old one performing below average? We can have new ones properly installed in your home. To better save energy for your heating systems, our experts will advise you. We are the best in the industry for all areas of domestic heating systems. It is important to have professionals handle any bathroom-related electrical installations. We are Mile-Oak leading specialists in electric shower installation. Our professionals will see to the replacement of your old and faulty showers. Our experts will also provide all plumbing requirements and maintenance needs. If your electric shower installation and repairs are done by amateurs, it might pose a health risk to you and your family. Installing the right shower unit for you is a guarantee from us. If you require a domestic electrical service, we are here for you. Whether it is for a new light and switch fitting or getting an extra socket, our team of qualified electricians are here to help. Our electricians do a speedy job while still maintaining our signature quality service. Electrics OnTap contractors provide cost effective domestic electrical services in Mile-Oak. Would you like take your TV to another room? Are you looking to get an extra phone socket in a different room? 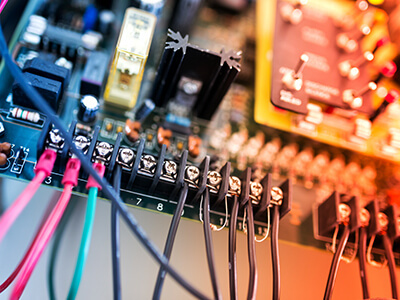 Take advantage of our expertise to get the best in socket, phone, and TV wiring. With years of TV, phone, and socket wiring, we have made a name for ourselves in full and partial domestic wiring. We work fast to ensure we do not stay longer than we need to. Installing the correct type of socket at the right position in your rooms is something we do satisfactorily. We are the top UK LED lighting upgrade company. We design, supply, and install all your large-scale LED lighting upgrades. Consequently, your lighting will be using less energy than normal lighting. Our electricians are known for their speed and efficiency. By spending less time in your home, we ensure your personal schedule isn’t disrupted. Electrics OnTap electricians are experts in domestic testing, diagnosis, repairs, fault-finding, and maintenance services. We also conduct electrical inspections efficiently and offer landlord certificates. Like other things, electrical installations and connections become less and less efficient with time. Your electrical installations may become less efficient due to wear and tear, corrosion, circuit overload, or accidents. Your domestic electrical faults will be fixed by a professional electrician by first doing a complete tracing of your circuits. All over Mile-Oak, our electricians are the most qualified in all emergency electrical repairs. Our electricians will do a diagnosis of your wiring and installation faults and then go ahead to do a repair. Electrics OnTap PAT testing is another way to ensure your home is safe and compliant. Not all your appliances will yield to a visual inspection. Some others require the attention of a professional. At Electrics OnTap, our team of qualified and experienced engineers will conduct a trustworthy PAT test on all your electrical equipment. Our objective is to give you a simple and affordable PAT test. This way, we ensure you have peace of mind and are assured of the safety of your family or tenants. You can call us anywhere you are in Mile-Oak for any form of domestic electrical emergency. Besides testing, the law requires that your domestic electrical installations be inspected regularly. We have the experts and equipment at our disposal to carry out thorough electrical inspections in your home. Through thorough inspections and reports, we give you peace of mind. Always remember that regular inspections can make all the difference when it comes to electrical hazards. We cover every regulatory requirement in our inspections. As a landlord, you owe it to your tenants to ensure their safety. We can get you certified in one visit. Consequently, you will be spending less and your tenants will not be inconvenienced. We will provide you with gas safety certificates, electrical certificates, Portable Appliance Testing, and so on. We handle all battery testing. We will cover all your minor domestic security and safety system design and installation. We ensure that only qualified electricians work on your domestic safety and security systems. Electrics OnTap electrical contractors supply only the best quality from reliable manufacturers. Because of this, you can trust the durability of our security installations. We have successfully carried out many outdoor lighting and power installation services in Mile-Oak. We are sure to give you the best angle when it comes to positioning your garden lights. We can bring into effect any exterior lighting design you imagine. From the contemporary to the traditional lantern-shaped outdoor lights, our electricians will give you the best. We are available every day of the week and at all hours. At a moment’s notice, we can send someone to your location. We will waste no time in creating a fault-finding strategy and will go ahead to implement it immediately. We have very friendly electricians. Our electricians would be delighted to explain the process as they go. To avoid future occurrences, you will be counselled on best practices. Electrics OnTap electricians are the most qualified team for fault finding and repairs. We offer affordable and quality electrical services anywhere you are in Mile-Oak. You can trust us to carry out all domestic installations and repairs in a cost-effective way. Through efficient and fast delivery, we can adhere strictly to budget.